With Mother’s Day in less than a week, I thought I’d introduce you to a mom who I love following. A mom who inspires me with her authenticity, spiritual wisdom . . . and the gorgeous artwork she creates. Ruth Simons considers herself an “unlikely mom”. Kinda ironic since she now finds herself the mother to six boys aged 1 to 12 years old! 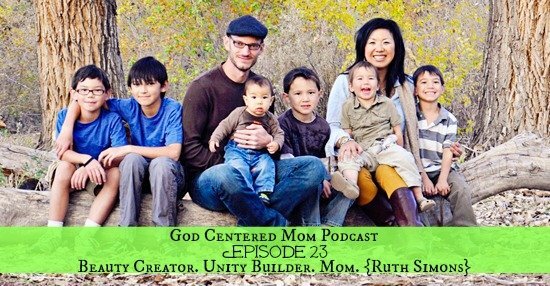 In her online space (gracelaced.com & her instagram feed), Ruth beautifully shares her sanctifying motherhood journey. . .
Having a schedule vs. a routine. Handling sibling disagreements . . . using Scripture, role play, peacemaking on the couch. Maximizing errands to get one-on-one time with her kids. Incentivizing her boys to help around the house, as a team. Encouraging unity in your family. Managing a home while running a business/pursuing other activities. I hope you learn something new from listening to how Ruth mothers. But more than anything I hope this interview helps you see how God crafted each mom uniquely. How He uses your gifts and talents to bond your family together to bring Him glory. 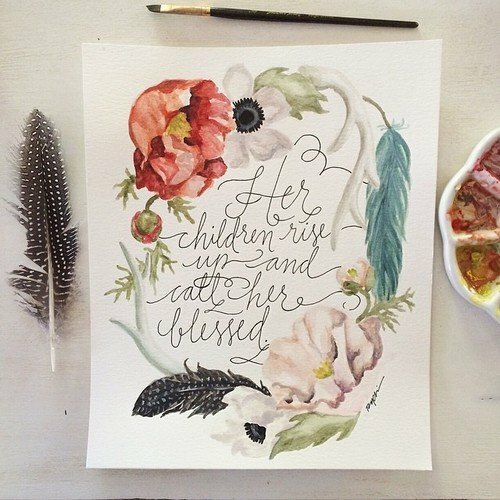 the beautiful painting below was created by Ruth and prints are on sale in her shop. Order before midnight tonight, May 5th to get in time for Mother’s Day. How do you create beauty and build unity in your home?